Are you guys loving the random giveaways? I bet you do when you're the winner lol! These notepads are great. I love them! Seriously thinking of getting some of these for Christmas gifts. The print quality is very nice and the paper is nice and sturdy. No flimsiness going on here! Love that I can jot a little note down for anyone and my business info is now right there in their hands! Greatness I tell ya! Photocard Designs offers many great items on their site. And I mean many! They've got a wonderful selection of Invitations and Photo Cards that's for sure. Check out this scalloped shaped die cut card. Loving it! And much much more. Be if for business or personal there is seriously something at Photocard Designs for everyone! Shop Now! And use coupon code pcd10 to get 10% off your order! Photocard Designs is offering 2 prizes! Two winners will each get a $25 gift voucher to spend how you please. Woohoo! Go check out Photocard Designs then come back here and tell us which product you might spend your $25 on if you're the lucky winner. This must be done before extra entries will count. • Like Photocard Designs on Facebook & leave a comment saying you love the giveaway at Cap Creations! • Sign up for the Photocard Designs Newsletter. Open to USA and Canada only. • Leave separate comments on this post for each entry. • Make sure we have a way to contact you if you should win. • Last day to enter 7/15/11 noon pacific. • GOOD LUCK!!! I would get the monogram swirl notepad!!! Very cute!!! I like the Classic Brown Thank You note cards. I think I would get thank you notecards for my mother. I "Like" Cap Creations on Facebook! I would order the 'A Sweet Shoppe Birthday Photo Invitation' for my daughters 3rd birthday next month! I'd get some Whale Dots Thank You Note Cards. I love the lego invitations! They are so creative and cute! :O) I would LOVE to win a gift card! Any of the Holiday cards, thank you's or note pads. Love them all!!! I would spend it on notecards, notepads, and DIY Printables. She has great ideas! I liked photocards on facebook and wrote on their wall as Dolly Outfitters. I would get adorable ladybug invitations for my daughter's 1st birthday. It might be 6 mos. away but what's the harm in planning ahead? I clicked on "Christmas" and just loved the first 3 designs. I would definitely use it for those. 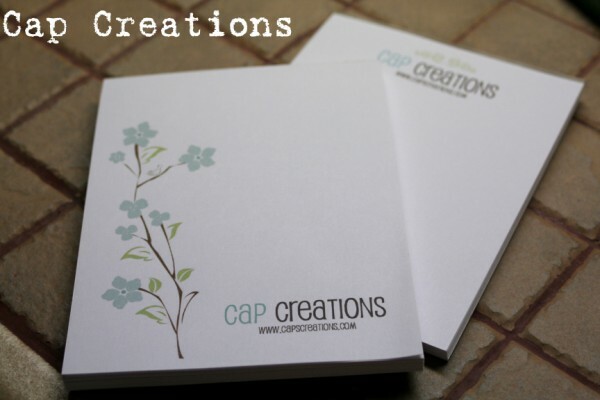 I'm a new follower at Cap Creations. So cute! I would order flip flop custom note pads, those are SO MEEEE! I would most definitely spend it on birth announcements. I just had a baby girl and still need to get some announcements made. Their announcements are amazing and I might have to just order them anyway. 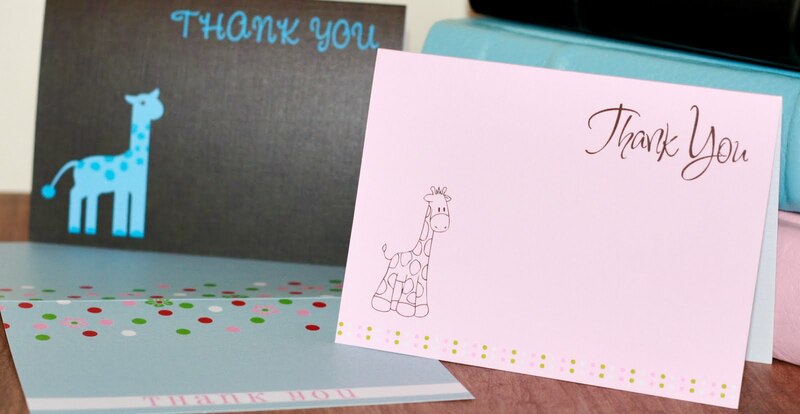 I would use the credit for their adorable selection on DIY party printables. I would get adoption announcement cards made. I would love the Annie Birth Announcement Photo Card, but as an adoption announcement. I would use it for thank you cards. My sons birthday is next month and these would be perfect timing! I liked Photocard Designs on facebook and told them I love the giveaway!! I'd get thank you cards from Photocard Designs. Liked Photocard Designs on FB and let them know I liked the giveaway. I like Photocard Designs on Facebook. I am also already a follower of Cap Blog. I already like Cap on Facebook.